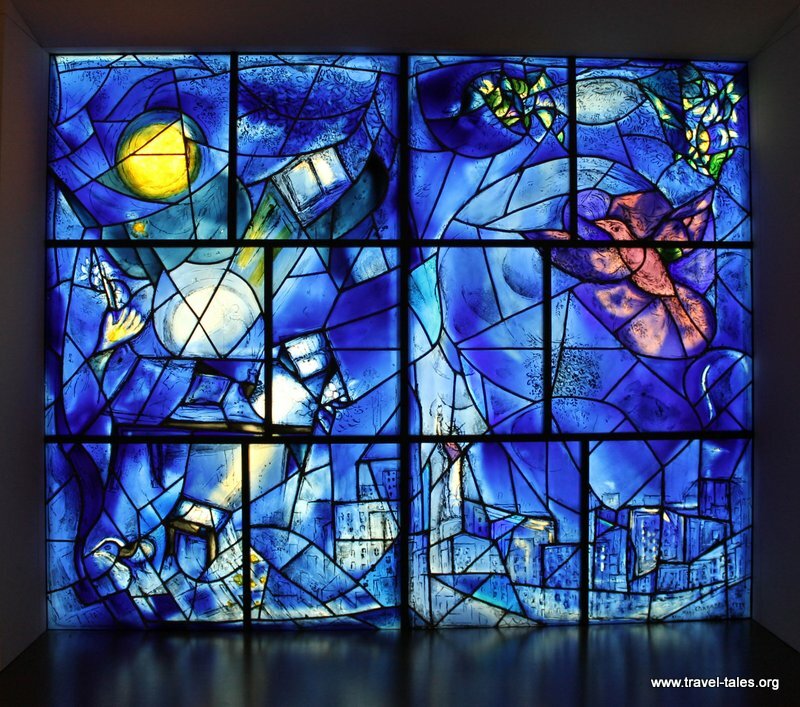 When I lived in Zürich, I visited the Fraumünster and was awed by the stained glass windows there created by Chagall. His America Window in the Art Institute was one of the sights I had been sad to miss on my last visit to Chicago, this time I made the time to see it. It was pretty hard to get a picture of all three without someone posing in front of them, so I decided to include a fellow tourist to give you a sense of their size. 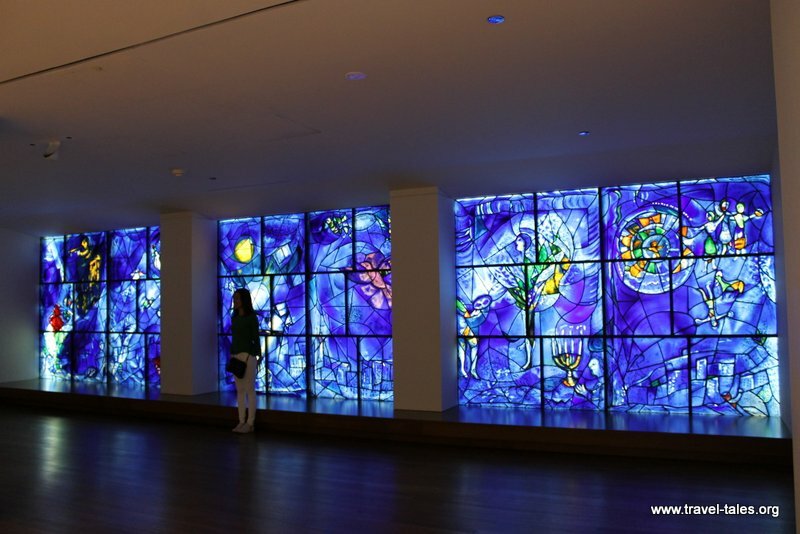 Chagall made these windows after he had visited Chicago in the early 1970’s for work related to his mosaic installed outside Chase Tower, The Four Seasons. The city’s enthusiasm for his work and the Art Institute’s great support inspired him to offer to create a set of stained-glass windows for the museum. Chagall decided to commemorate America’s bicentennial and the window(s) celebrate the country as a place of cultural and religious freedom, detailing the arts of music, painting, literature, theatre and dance.